In October 2018 we will be leading another team of people who have the desire to make a Peruvian mission with us. Mission: Holy Spirit power & compassion Ministry with signs, wonders & miracles among the people of Peru, in the capital city of Lima, & Iquitos on the Amazon River. Sure to be the most life changing trip of your life! Cost: $1,850 (which does NOT include airfare to and from Peru). This cost covers your hotel lodging, food, transportation and air travel WITHIN the country of Peru. You will need to be a Family Member of International Apostolic Ministries to go on missionary journeys with us, and that’s a very good thing! Join the I.A.M. Family HERE. Offerings that you would like to personally leave with the people, churches, etc. Mission International School of Miracles will take place during the day on Thursday, October 11th. This will be the best school and training on divine healing and miracles that you will ever experience, with a unique approach that will be used throughout this mission. Friday morning, October 12th, we will catch a flight to the Amazonian city of Iquitos where we will have 3 days of miracle meetings. 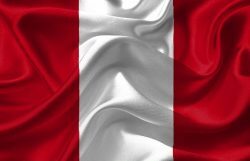 On Monday, October 15th, we will return to Lima for church services, shopping in the Inka Markets and an evening meal together. Next, we will have 2 days of open air miracle crusades and finish the weekend with another 2 days of crusades in Northern Lima. We then return home to the USA on the evening of Monday, October 22nd. Passport: A passport is necessary with an expiration date that is at least 8 months after the final day of this mission trip. There are only 20 positions available to be filled for this trip. This application is a process where we will be considering each person on an individual basis. Please understand that our mission in Peru will be physical with walking, stairs, getting in and out of very small taxi’s and long days of spiritual works. We therefore require that each person test themselves on stairs. Without your hands touching railings or walls, walk up 4 flights of stairs that have a minimum of 10 stairs per flight. Up and down those 4 flights without stopping. You must be able to do this physical endurance test without being terribly winded as we will be doing this and much more, physically. DO NOT make arrangements until your application has been approved. There are only a few places available for this trip and they are filling quickly. So, get your application and deposit in quickly. Application Form for those who would like to go on a missions trip with us to Peru. Please be aware that this is how we will be communicating with you about this trip. Make sure that you regularly check/read your email at this address. If you are the senior minister, just put your own name here. If you have no pastor, type None. If you'd like to send us a message or other information with this Mission application, please do so here. I.A.M. membership is necessary in order to be considered for this International School of Miracles & missions adventure. Click here. After completing the application: You may use your credit card Submit your online payments here via this link.